Current (or last?) 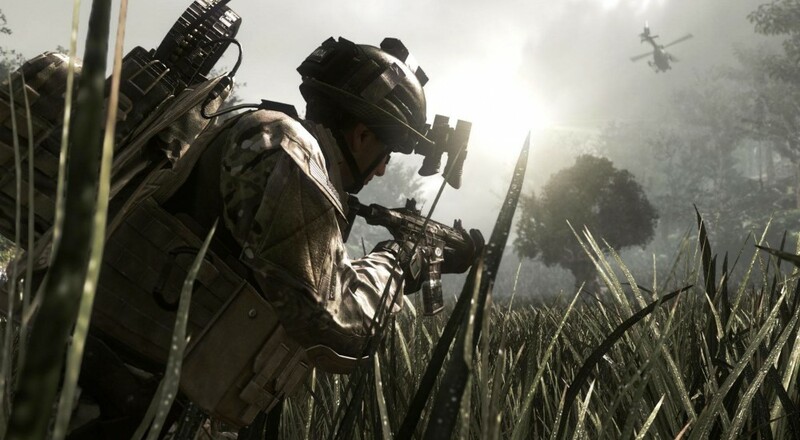 gen fans of Call of Duty: Ghosts may have felt left out in the cold when the PS4 version of the game received a substantial patch with critical updates to the game last week, but fear not, as the PS3 and Xbox 360 versions have just received a similar update. The patch aims to end some frustration by eliminating several annoying crashes that players were encountering. An exciting new feature is the addition of #CODeSports, a feature for MLG support which adds a broadcast mode and the ability to load the latest MLG ruleset in private and system link matches. Other fixes include graphical upgrades and some tweaks to the experience system. The complete patch notes are pasted below, and you can check out our full review here. Fixed a rare crash when quitting out of an MP match while calling in a squad mate with a riot shield equipped. Fixed a rare private match stability issue, which was occurring when a playlist update was published. Fixed a crash which occurred when renaming a loadout as the match was starting. Fixed a crash when the host of a Wargame match could crash if they are pulled out of the match while in a 5 player party. Fixed an MP Siege rare crash on load. Numerous other MP in-game stability fixes. Fixed a rare crash on load. Fixed a spawn exploit where players would always respawn at their team spawn within the first 15 seconds of a game, even if an enemy was nearby. Increased XP rewards slightly for Operations and early tier weapon challenges. Added leaderboard for Search and Destroy game mode. Numerous map exploit fixes in MP and Extinction. Fixed collision bugs on multiple maps. Care package stacking exploit fix. Increased Search and Destroy XP to give 10x XP instead of 5x XP. Search and Destroy, now has its own online playlist. Improved character models rendering, when viewing players with the Gryphon. Accuracy fix for the Preferred Weapon Stat on the Player Stats lobby page. Further support for the COD App. Clan tags no longer missing a bracket when viewed in-game. Fix for seeing empty player name when joining a game in progress. Reduced upwards velocity when performing a melee charge. ADS while moving in a remote turret is now allowed. Dog no longer twitches when player is too close. Ping for bots now returns a more accurate 0ms. Fixed a very rare issue where the left pistol could shoot two bullets instead of one. Vehicle explosions sometimes did not appear in killcams; fixed. Disable the create clan button when the service is unavailable. Added error popup to the Call of Duty Account button when the service is down. Added an error message on the Clan section of the Friends List when the service is down. When losing internet connection, then attempting to modify a loadout's perks, the game now returns you to the main menu. Balanced the Focus Perk's view-kick scale. Fixed bug where clan tag colors were not showing up on Clan Details page. Fixed an issue where mantling while going through a blitz portal would sometimes not teleport the players. Adding patch & background reward for Call of Duty Account Registration. In Extinction, fixed a rare issue where the alien wouldn't retreat. an attack chopper was bought during a very specific window of time. Multiple fixes for Recent History and My Modes lists. Fix for sometimes spawning from last stand without a weapon in hand in Extinction. Fix for a few last stand revive weapon bugs in Extinction. Added new MP spawn music. Fixed an issue with the ammo counter sometimes not showing up properly in safeguard. Fixed a rare issue where the Score/XP popup (i.e., +100) didn't appear when killing a player in Squads Mode. Changing the leaderboard filter then scrolling would sometimes cause the user to be sent back to a previous menu screen, fixed. We now show dog tags to spectators in Search and Rescue. Ensured the ratchet sound only plays when first entering the summary after a game. Replace generic unlock icon (head/helmet/uniform) with text description of item. Fixed a bug with shooting down a heli sniper with a gryphon. Riot shield assists challenge balancing. Fixed operation completion bonus to account for multi-tier operations rolling over. Improved UI messages to explain rewards. Added a "Track Operation" button helper text in the operation selection menu. Make it so the CoD Anywhere confirm button does not disappear when you back out of a field edit popup. Fix for mismatched player cards in extinction mode. Added thermal hybrid scope hint in extinction HUD. Fixed an issue where backing out of a certain error popup would cause the player to sit in a lobby that wouldn't fill up in Squad Assault. Fixed unlocalized text in the Extinction unlock screen for Extinction abilities.